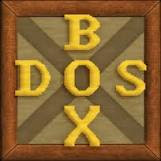 DOSBox SVN r4130 is released. DOSBox emulates an Intel x86 PC, complete with sound, graphics, mouse, joystick, modem, etc., necessary for running many old MS-DOS games that simply cannot be run on modern PCs and operating systems, such as Microsoft Windows XP, Windows Vista, Linux and FreeBSD. However, it is not restricted to running only games. In theory, any MS-DOS or PC-DOS (referred to commonly as "DOS") application should run in DOSBox, but the emphasis has been on getting DOS games to run smoothly, which means that communication, networking and printer support are still in early development. FAT drive fixes and improvements. Identify floppy format, and support filesystems that use only part of the disk. Fixes Make Your Own Murder Party and Music/Pinball Construction Set. Improve disk image mounting: cycle disks only for the drive being mounted, make B: drive usable for BIOS access, and be insensitive to the order that drive letters are mounted. Fix GetLabel() for the virtual drive.